Virginia Tech was on upset alert again on Friday morning, as they faced a Northeastern team that returned all five starters, received 35 of 40 first place votes in the CAA, and drilled Alabama 68-52 on Thursday. That upset didn’t come to fruition, as the No. 16 Hokies hammered the Huskies 88-60 in the semifinals of the Charleston Classic. Northeastern easily handled Alabama on Thursday, and nearly all prognosticators view them as an NCAA Tournament team this season. Tech’s victory is easily their most impressive of the young season, and despite scoring 88 points, it started on the defensive end. Virginia Tech’s defense is designed to stop the opposing team from getting the ball into the paint. The Hokies did a fantastic job of that against the Huskies. With 1:12 left in the first half, Vasa Pusica made two free throws, and that was the first time Northeastern made a shot that wasn’t a three-pointer. They did not make their first true two-pointer until there was 18:22 remaining in the game. 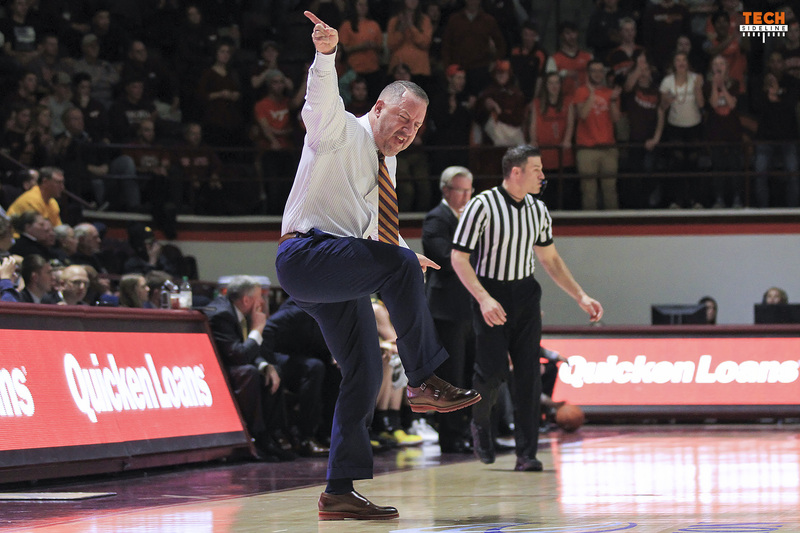 The Hokies came into Thursday’s game ranked No. 9 nationally in opponent turnovers per game, and No. 3 in opponent turnovers per possession. They may have gotten even better on Thursday, as they forced 18 Northeastern turnovers, and scored 26 points off those turnovers. Through three games this year, the Hokies have forced 29, 14 and 18 turnovers. Robinson: 19 points, 4 assists, 8-of-10 FG, 3-of-4 3-Pt. Through three games, Alexander-Walker has scored 21, 21 and 20 points. It has been a very impressive start to his sophomore season. Ahmed Hill added 15 points, while Kerry Blackshear had 12. Blackshear also had four assists. As a team, the Hokies outrebounded the Huskies 29-24. Ty Outlaw paced Tech with seven rebounds. Virginia Tech will play the winner of the Purdue-Davidson game on Sunday night in the Charleston Classic Final. That game will be played at 8:30pm on ESPN2. At a minimum, looks like we won’t have that head-scratching early season loss which plagues us the rest of the season and its starting to look better for more than the minimum. Happy for the Hokies and Buzz! Now Football needs a break and needs to kick Miami’s buttox! Good to see these relatively good quality wins early because we have a lot of cupcakes coming up! Great to see the team perform at this high level. When do we learn about the status of Landers Nolley? I saw a press release indicating Virginia Tech expects him to be cleared this coming week. Who can predict what & when ncaa does anything? Great to see Blackshear staying out of foul trouble and giving us big minutes. We are much better when he is out there. Go Hokies! Looking forward to Sunday night. This team is great AS I WATCHED TODAY! Football season is over for me and it’s time for all Hokies to get as much enthusiasm for Buzz’s team!!! Easy, football still has 3 to play(wink, wink). NO, really, I haven’t been drinking during games, just because of them. Great start by the Ht basketball team. Hokie fanbase needed it.